Again, the terrifying cry rang out. The Doctor quickened his pace along the gloomy tunnels of the castle. Suddenly, from the darkness lumbered the mighty Aggedor, Royal Beast and Protector of the Kingdom of Peladon! The Doctor fumbled in his pocket. Would the device work? 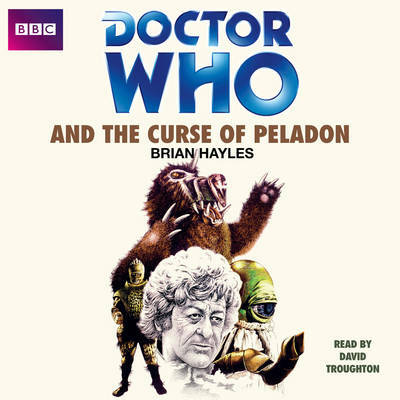 As he trained the spinning mirror on the eyes of Aggedor, the terrible claws came closer and closer... What is the secret behind the killings on the Planet of Peladon? Is Aggedor seeking revenge because the King of Peladon wants his kingdom to become a member of the Galactic Federation? Will the Doctor escape the claws of Aggedor and discover the truth? David Troughton reads Brian Hayles' complete and unabridged novelisation, first published by Target Books in 1974. 5 CDs. 5hrs 21 mins.